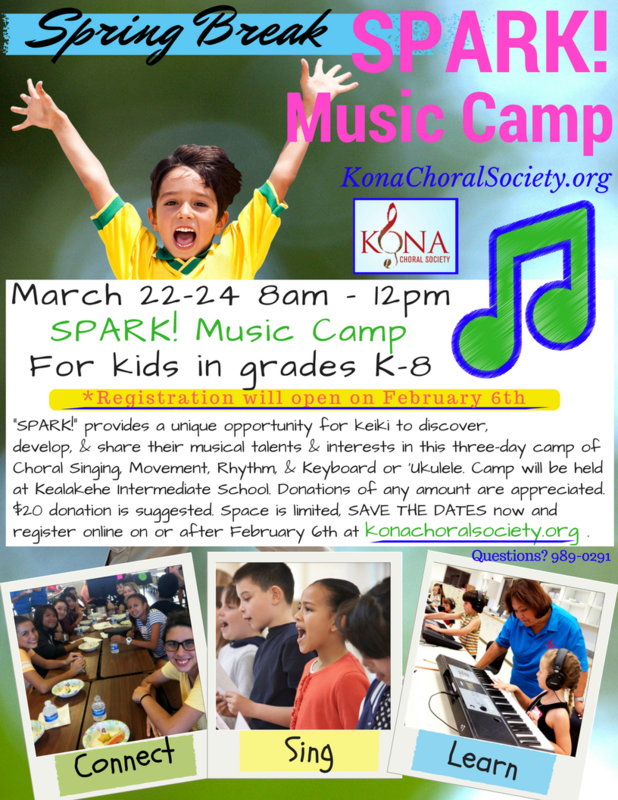 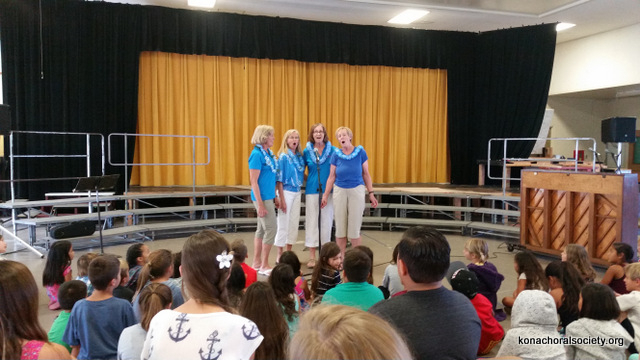 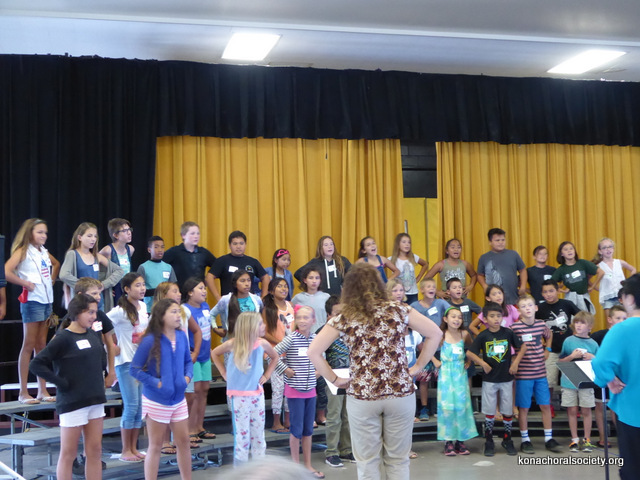 This past spring break the Kona Choral Society’s youth and children’s chorus program held their 2nd ever SPARK! 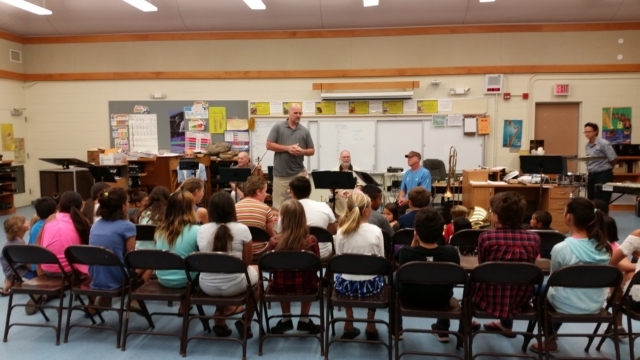 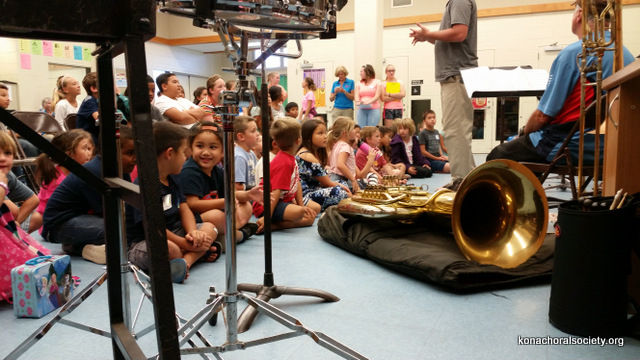 Music Camp for children grades K-8. 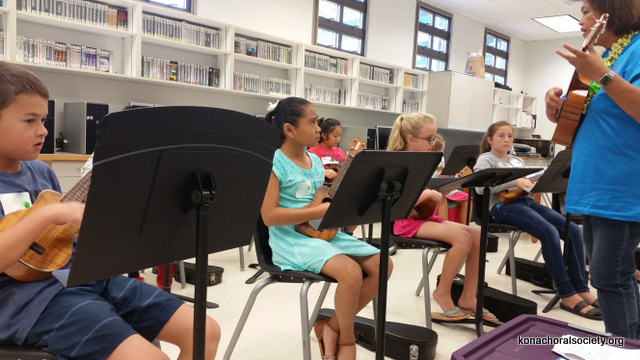 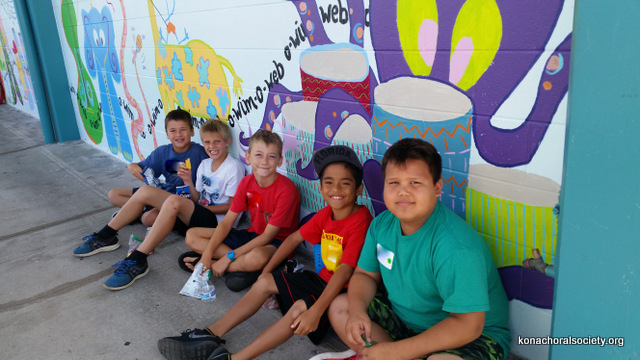 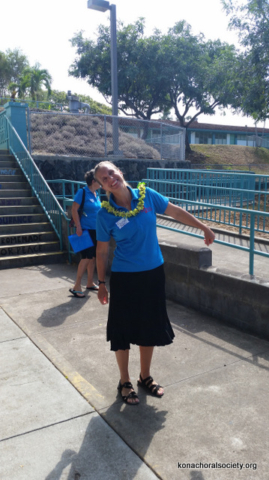 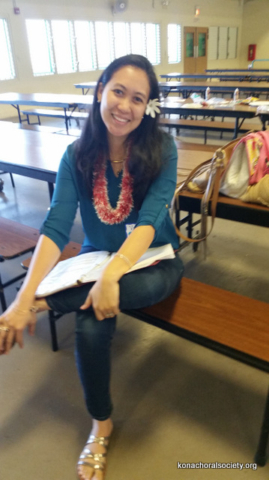 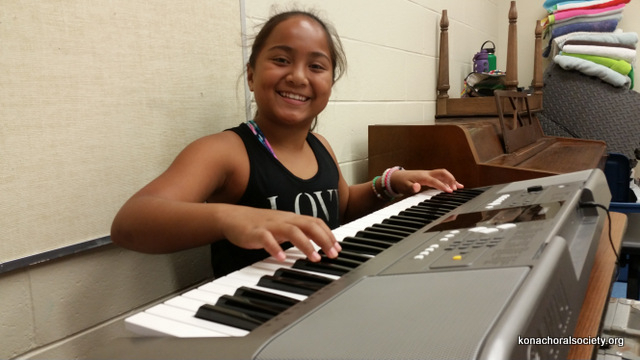 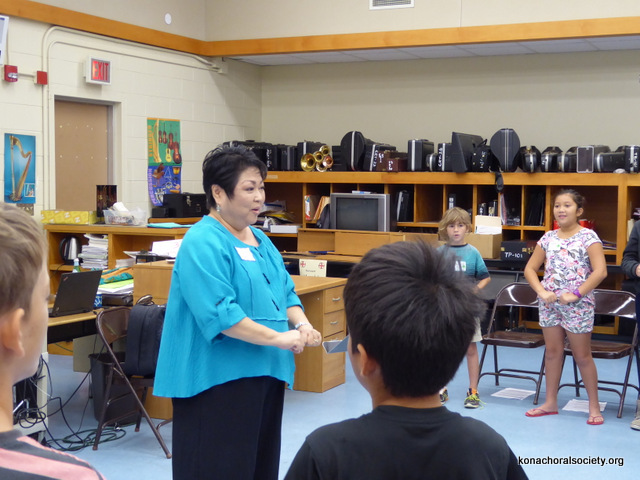 The free three-day camp was held from 8am to 12 pm each day at Kealakehe Intermediate School. 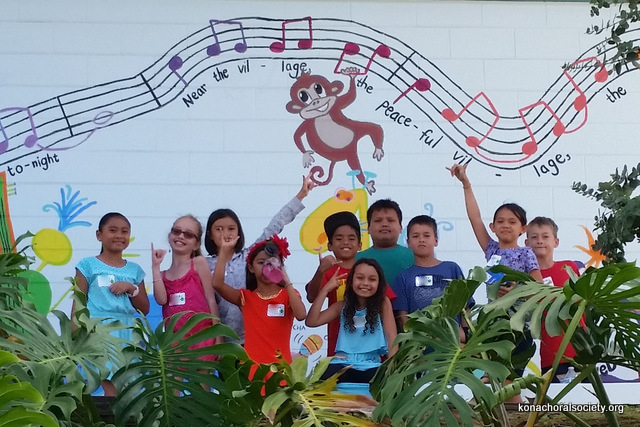 The 64 child participants represented twelve different local schools: Kealakehe, Konawaena, KPPCS, Innovations, Holualoa, Kahakai, Makualani, WHEA, HTA, Kanu O Ka’aina, Hookena and Waikoloa. 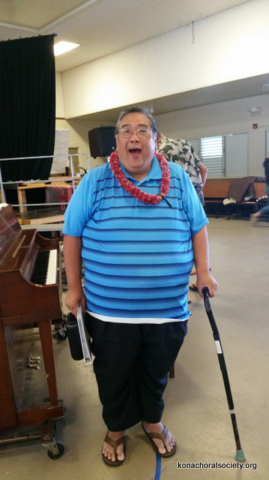 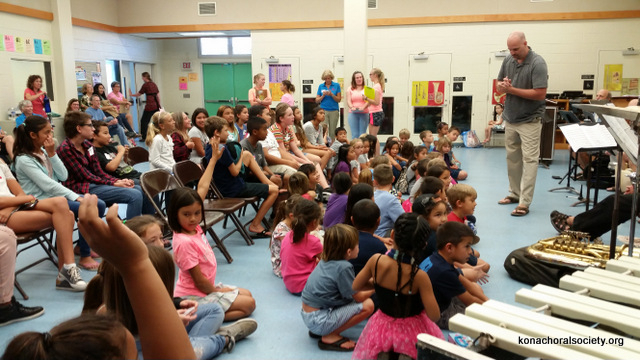 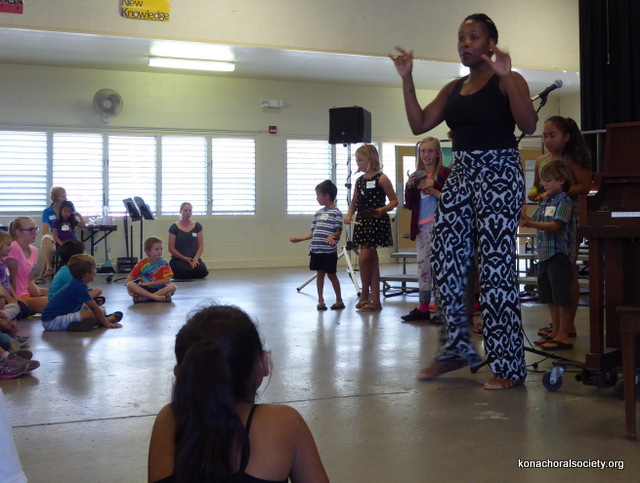 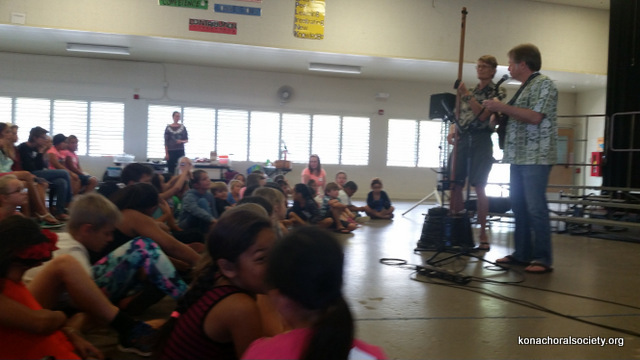 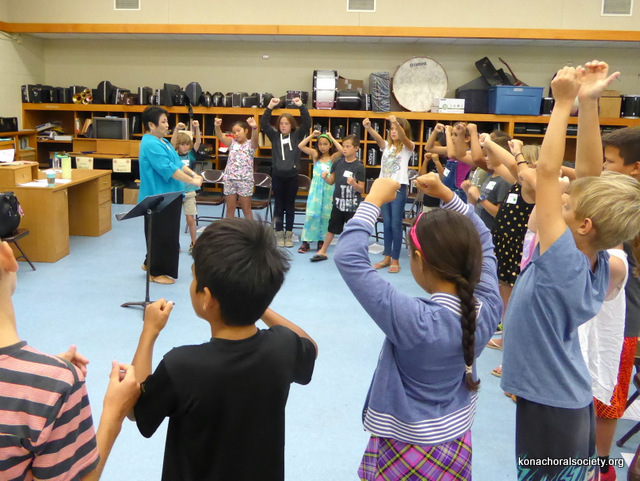 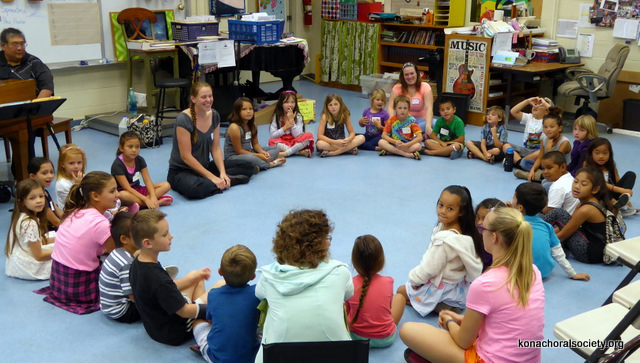 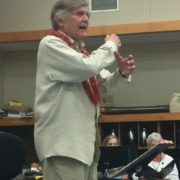 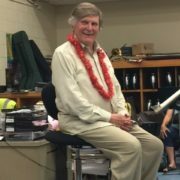 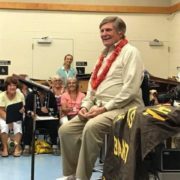 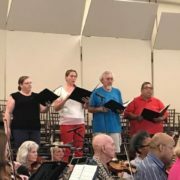 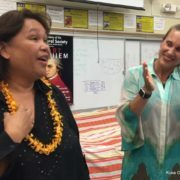 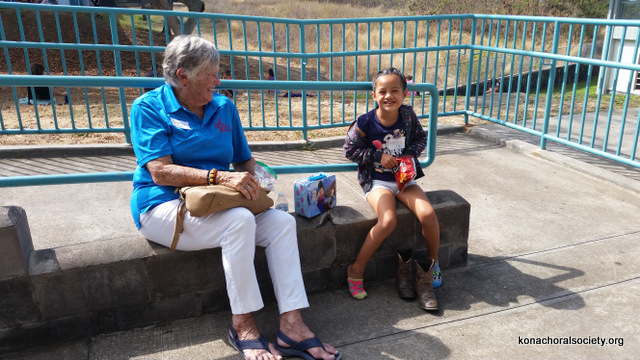 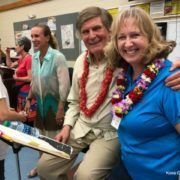 The camp’s musical experiences included ’ukulele and keyboard classes, choral instruction, a demonstration by the Kamuela Philharmonic Orchestra, singer show-and-tell concerts by singers from around our community, and an end of the camp Hō’ike (“sharing”) concert for parents. 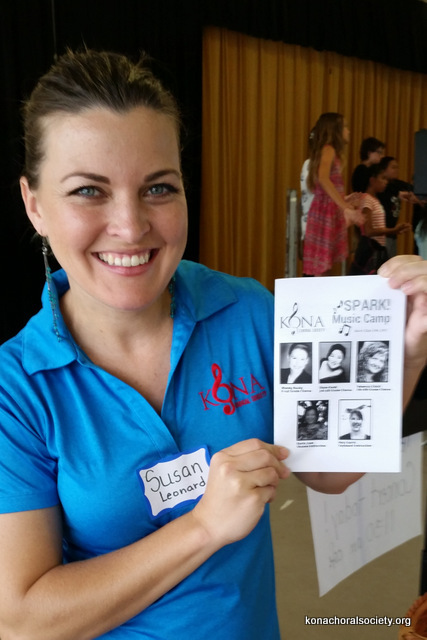 SPARK! 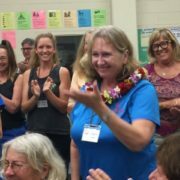 had five very talented instructors: Wendy Buzby of Kailua Kona led the “The Little Sparks” (K – 2nd graders), Diane Koshi from Oahu led the “Green-Flash Kids” (3rd-5th graders), and Rebecca Chock from Oahu led the “Lightning Leaguers” (5th-8th graders). 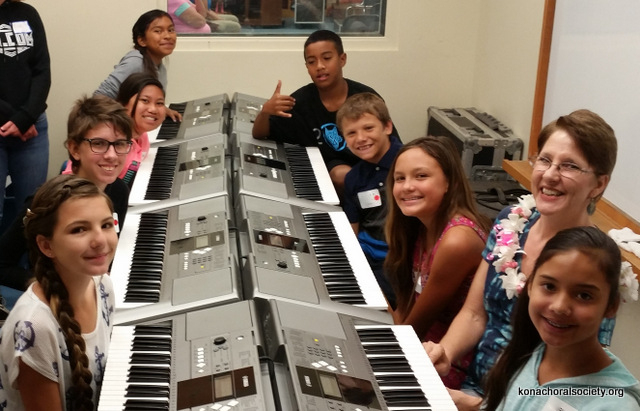 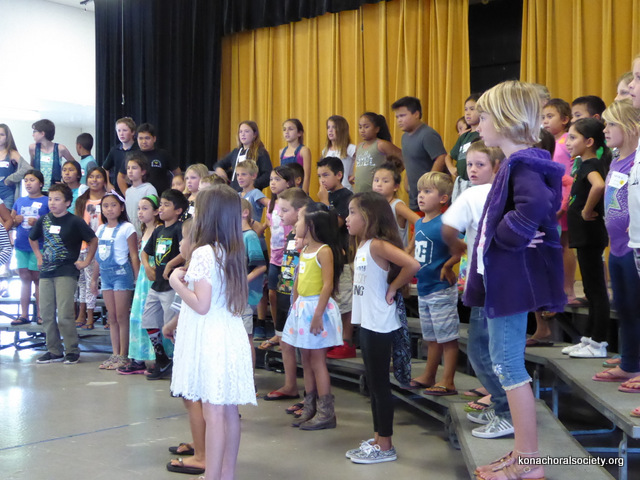 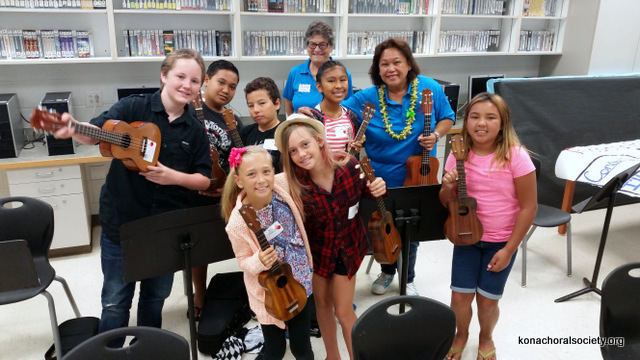 Kealakehe Intermediate School chorus, piano keyboard, and ‘ukulele teacher and KCS accompanist, Gloria Juan, taught keyboard and ‘ukulele classes. 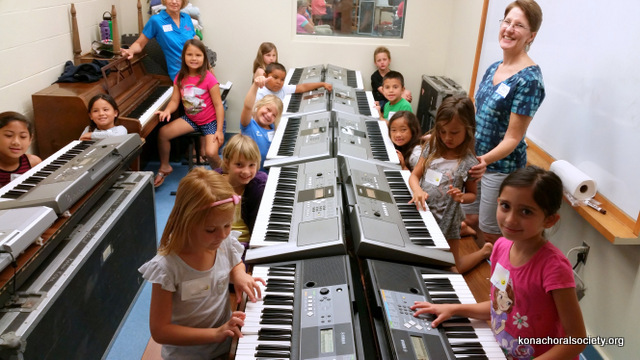 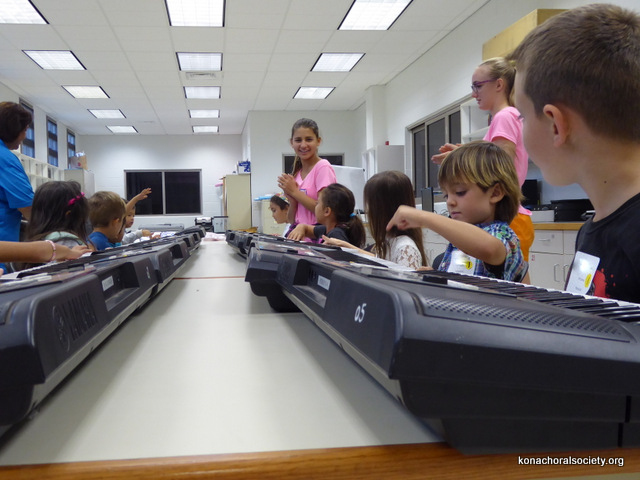 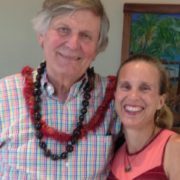 And Mary Garris, owner of Junior Music Academy here in Kona, also taught keyboard classes. 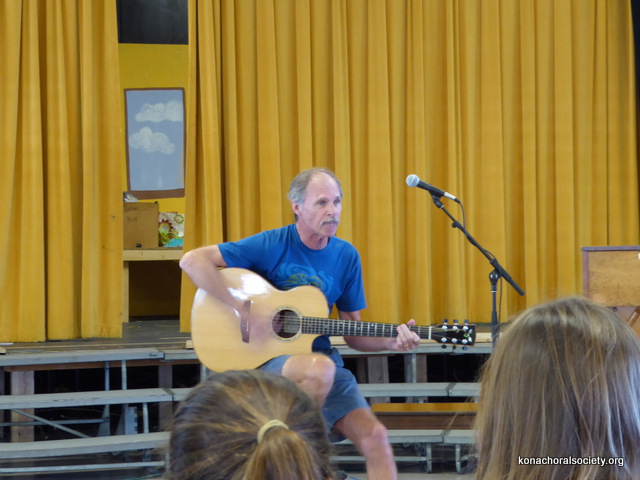 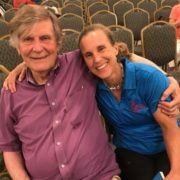 With their combined efforts and the efforts of guest musicians, camp counselors, committee members & other camp staff volunteers the program was again a huge success for parents, community members, and the kids! 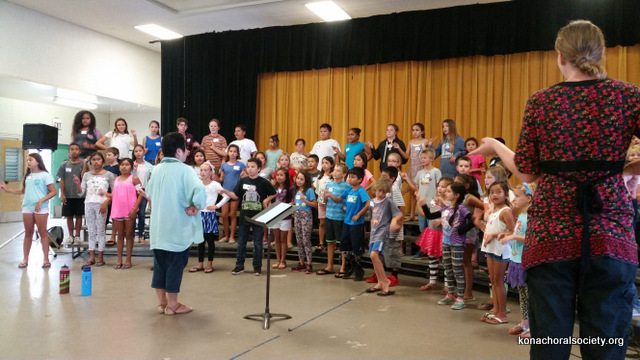 Planning is underway for the re-opening of our weekly children’s and youth chorus program for the upcoming school-year and for future SPARK! 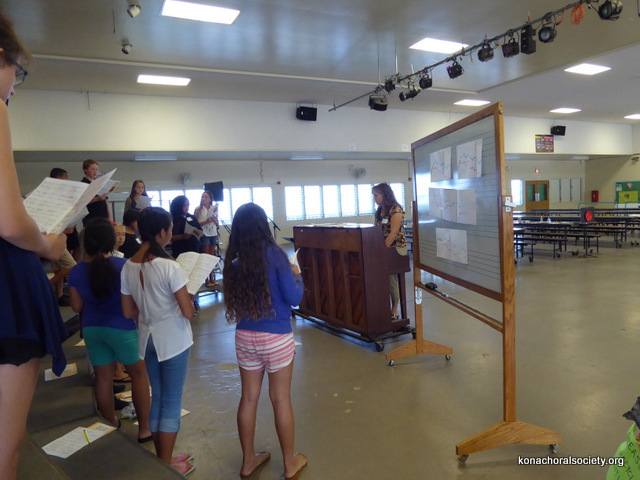 camps. 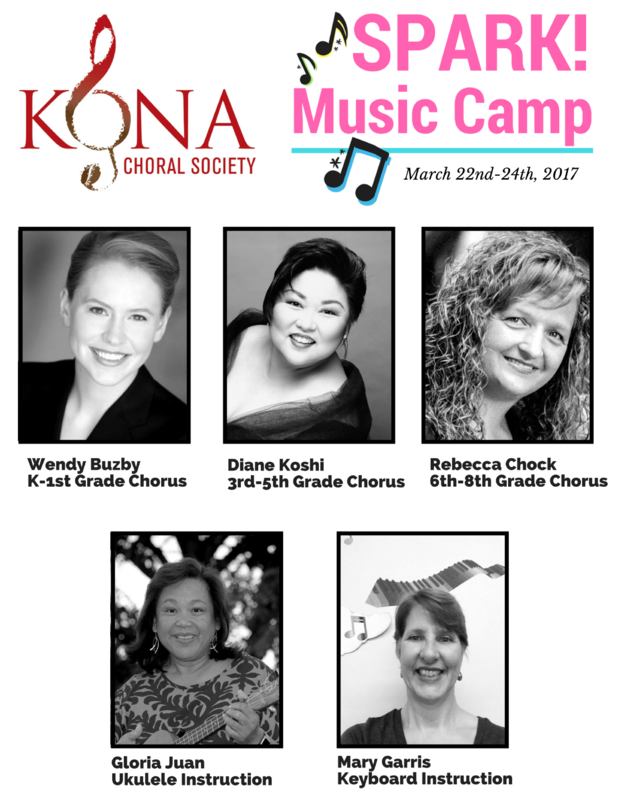 If you are interested in getting involved or have any questions you may email kcsyouthchorus@gmail.com.